STARKVILLE, Miss. -- A journal published by the Mississippi State University School of Human Sciences highlights important findings from three years of work conducted by Extension health professionals across the country. 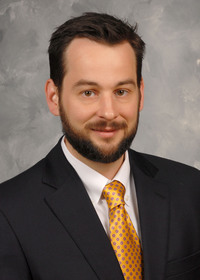 David Buys, an assistant professor with the MSU Extension Service and the Mississippi Agricultural and Forestry Experiment Station, served as chair of the chronic disease prevention and management action team that investigated ways to use Extension programs to improve health outcomes in the U.S. His work was part of a broad effort commissioned by the Extension Committee on Organization and Policy Health and Wellness Task Force through the organization’s Health Implementation Teams. “Our goal as a task force was to gather the information needed to create a path forward to better health for all Americans,” Buys said. At the conclusion of the teams’ efforts, Buys suggested that they all collaborate to publish their recommendations in a single journal, the Journal of Human Sciences and Extension. “Each team developed research-based recommendations for leveraging Extension’s expertise and network to have a positive impact, so it made sense to feature that collectively,” he said. The special issue was released at the 2018 National Health Outreach Conference. This new collection of work coedited by Buys and Sonja Koukel of New Mexico State University can be found in the June 2018 issue of the Journal of Human Sciences and Extension, Volume 6, Number 2. The journal’s permanent editors are Donna Peterson, associate Extension professor at MSU, and Rich Poling, retired director of program and staff development for the University of Arkansas System. It is available online at http://www.jhseonline.com under the Current Issue tab.